Americap Direct provides access to direct capital through a diverse network of reputable lending sources. With the support of our in-house underwriting and closing specialists, we manage every detail of the loan process for you. Below are various membership packages for the desired service. Our 30+ years of experience, combined with our solid reputation and winning approach, ensures our clients easy access to the capital they need to help their businesses grow. Purchasing a commercial real estate represents a substantial investment, it is crucial to structure and secure the best financing available. Every borrower is unique and every lender has its own rules and programs. The difficulty most people have in shopping for their own loan is they don't know all the right questions to ask. Adding to that difficulty is the fact that most lenders have only two or three programs to offer so their job is to sell you what they have rather then find the program that fits your needs. After we know what your investment goals are, Americap Direct will tailor a membership package to fit those needs and give you the best options we can secure from our Private Investors. We will evaluate your file at no charge. Upon acceptance of our service, we will determine a flat fee rate or hourly rate. The rates below, does not include the loan closing cost. The fees below cover the required membership package, for consultation, processing, underwriting and securing loan offers from our direct loan partners. If we are required to facilitate the loan process with our Lender until closing, we will add the "membership loan closing fees" . All fees are non-refundable. 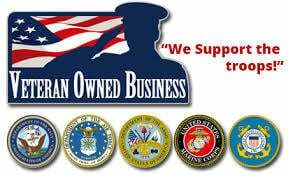 Our team will submit and secure SBA loan or Line of credit with our vast network of direct SBA Investors and unsecured lines of credit lenders. Americap Direct underwriting team will structure your file, insure the cash flow analysis, loan to value, credit worthiness and property analysis are in SBA compliance. 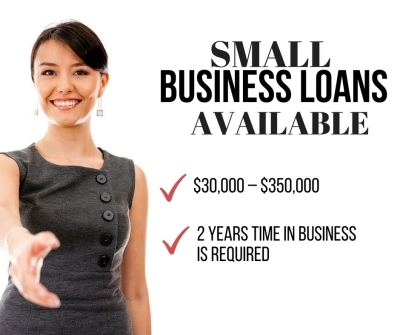 Our team will secure Merchant cash advance/Working Capital and business loans. Equipment loans, Invoice factoring. Our team will evaluate, structure, analyze, rewrite, process and underwrite your file to ensure it meets all the requirements of the designated Investor. 5 hour minimum.Upon successful underwriting, compliance, and acceptable third party reports, Americap Direct will utilize our designated credit facility or correspondent lender for the specified project at closing. Alternative funding solutions.Our team combines extensive capital markets, commercial real estate finance and accounting knowledge to assist clients in understanding the credit risk and impairment issues associated with their commercial real estate portfolio.We combine debt and equity to increase the overall funding amount. Our process involves several phases in obtaining an in-depth understanding of the portfolio. We develop a detailed database that contains various attributes of each asset by reviewing related loan and property documentation, ongoing surveillance reports and client correspondence to determine potential impairment based on established criteria. Let us structure the ideal funding with debt and equity. Our credit facility will allow flexible terms, rates, and a higher loan to value for difficult or unique projects, Oil & gas, assisted living development, Renewable energy, international funding. This will be a direct financing program Americap Direct will issue the term sheet, underwrite, and devise the executive summary, and facilitate the process until Closing. Upon successful underwriting, compliance, and acceptable third party reports, Americap Direct will utilize a credit facility for the specified project at closing. Our team can guide you through the elaborate and difficult commercial mortgage process for your investment properties. We will provide you with the financing expertise and will also do the specialty work of dealing with the lenders. Underwrite and package the property and borrower’s information in a format acceptable to all lending institutions. 10 hour minimum.Our team combines extensive capital markets, commercial real estate finance and accounting knowledge to assist clients in understanding the credit risk and impairment issues associated with their commercial real estate portfolio. Our process involves several phases in obtaining an in-depth understanding of the portfolio. We develop a detailed database that contains various attributes of each asset by reviewing related loan and property documentation, ongoing surveillance reports and client correspondence to determine potential impairment based on established criteria. Our team will secure two bonafide funding term sheet or funding offer within 10 days for your funding requirements. Americap Direct will issue the prelimary offer term sheet, underwrite, and devise the executive summary, order desk top broker opinion evaluation, analyse the Debt to income ratio, pre-qulaify the financials, and facilitate the process until Closing. Utilizing our direct Lender partner network, we will tailor a loan package to fit those needs and give you the best options we can secure up to (2) loan offers from our Private Investor. Fast, Simple, and Efficient. Save Time! Our team will provide quotes for proof of funds service with multiple Banks. Members will receive discount rate for SWIFT MT799, MT760, Bank Guarantee, Standby letter of credit, and bank proof of funds letter. In the current credit environment, the AMD team understands timing is a critical function in delivering the most effective solution for our clients. We feel it is important to be prepared with the most current loan and property information on your portfolio for credit and regulatory functions, presentation to prospective investors or managing your portfolio more efficiently. The team at Americap Direct Advisory Services has a proven track record working with financial institutions in gathering pertinent collateral data and setting up a method for ongoing monitoring and surveillance. We understand every institution is different and tailor our due diligence services to you based on the composition of your portfolio’s collateral and your timing requirements. We have an experienced team of due diligence specialists with extensive backgrounds in loan documentation review to create databases of relevant loan and property information and reports on an asset-specific basis. We understand our clients’ strategic objectives and apply our superior knowledge in loan documentation review which gives our team the ability to perform extensive due diligence in a timely and cost efficient manner. Our “six days work schedule” approach allows us to complete projects under any time constraints. Our loan due diligence involves a review of all legal documents, third party reports and current property level information along with performing financial calculations.Our underwriting analysis includes modeling of historical and pro forma cash flows, reviewing rent rolls, property leases and other related real estate and credit documentation as well as performing site inspections upon request. Our due diligence and underwriting services platform covers all asset performance types and major property types within the real estate marketplace. The majority of our Underwriter and credit team has over 40 years’ experience underwriting commercial loans. Americap Direct focuses these skill sets on underwriting to closing. Americap Direct team’s dedication and experience has enabled Americap to provide services on complex and unconventional loans. Our team will work closely with your team, and Americap’s team will structure a fundable term offer to meet all the necessary requirements for various commercial property types. Americap Direct Agency delivery and preparation for term sheet approval and loan placement. We can arrange debt up to 80% LTV and equity up to 20% 2ND POSITION with 10% borrower injection. ENGAGEMENT CONTRACT EXECUTED, initial deposit for services completed. BORROWER AND LENDER NEGOTIATE FINAL TERMS, INCLUDING DRAW BUDGET, RATES, FEES, CORPORATE STRUCTURE, AND THIRD-PARTY REPORTS. Americap Direct and Brokers paid from loan closing proceeds. Commercial loan lenders are in business to make money. Consequently, when a commercial loan lender lends money it wants to ensure that it will be paid back. The commercial loan lender must consider the 6 "C's" of Credit each time it makes a loan. The fees below are paid directly from our Lender's loan closing proceeds, and are compensated forconsultation, loan processing and loan coordination with the Lender and Borrower. Broker fees: 30-50% of Flat fee or referral flat fee per case by case. ​The fees below are paid upon execution of our service agreement with our Sponsor, Client, Broker or Third party. As a commercial mortgage underwriter, broker and 30 years of bank experience, I am constantly asked by residential lenders and brokers to explain the mechanics of commercial mortgage underwriting. Residential lenders are accustomed to asking about a borrower’s income, credit, net worth, liquidity and debt-to-income ratio. Commercial lenders ask those same questions, but also need to understand the cash flow of the underlying commercial property. There are various mathematical calculations that are employed in this cash flow analysis. ►Potential gross income: This represents the maximum income to be realized from the property. For example, let’s say that a borrower owns a 10-unit apartment building with average rents of $1,000/month. The potential gross income would be $120,000/year (10 apartments x $1,000 x 12 months). This $120,000 doesn’t tell us enough yet, but it is our starting point. ►Operating expenses: Every building has expenses, including real estate taxes, insurance, utilities, maintenance and repairs, garbage, landscaping, etc. These operating expenses need to be reviewed carefully as many sellers, owners and real estate agents often understate actual expenses when selling a property. ►Underwritten expenses: There are certain expenses that are always overlooked by sellers and brokers, but assumed by underwriters. These include vacancy factor, management fees, repair allowances, tenant improvements and leasing commissions. Underwriters will assign a vacancy factor (say five percent) to allow for lost rents during tenant move-outs and tenant move-ins. Management fees are required (again, say five percent) to pay for management duties even if performed by the owner. Repair allowances cover unforeseen expenses and building repair for non-regular events such as a new roof or new boiler. These events do not occur annually, but must be budgeted. Commercial properties, such as retail and office buildings, might also require tenant improvements to lure a new tenant and leasing commissions to a real estate broker. All of these expenses will be estimated by the underwriter. ►Net operating income: The operating expenses and underwritten expenses will be subtracted from the potential gross income to generate what is known as the net operating income. This is the building’s net profit before debt service, or mortgage payments. ►Annual debt service: This represents the total annual payments for the existing or proposed mortgage. For example, if the monthly mortgage payment is $2,000, we say that the annual debt service is $24,000. The debt service needs to be adequately covered by the net operating income. This concept is explained next. ►Debt service coverage ratio: This is the first of two main ratios considered by a commercial mortgage underwriter. The debt service coverage ratio (DSCR) is calculated by dividing the net operating income by the annual debt service. As an example, say a building has a net operating income of $125,000 and proposed annual debt service is $100,000. In this example, the DSCR is 1.25 ($125,000 divided by $100,000). A number above 1.00 means that the property operates in the black. A number equal to 1.00 means the property breaks even. A number below 1.00 means that a property operates in the red. Most underwriters look for a DSCR of 1.25 or better. If the number is lower, a reduction in the loan amount would be necessary. ►Capitalization rate (Cap Rate): The cap rate is the rate of return that an investor expects to realize on his cash. If you deposit money in a bank CD paying one percent interest, you can say that the cap rate is one. A real estate investor typically seeks a return of five to eight percent. The cap rate helps an underwriter determine the value of a commercial property. This concept is explained next. ►Property value (Income Capitalization Method): Above we discussed a building with a net operating income of $125,000. That means that the building generates $125,000 of cash flow (before the mortgage). If an investor wanted a cap rate of eight percent, that building would be valued at $1,562,000 ($125,000 divided by 0.08 equals $1,562,000). If a different investor was willing to accept a cap rate of five percent, the same building would be worth $2,500,000 ($125,000 divided by 0.05 equals $2,500,000). As you can see, the higher the cap rate used, the lower the value. The lower the cap rate, the higher the value. A professional appraiser will know the appropriate cap rate in the given market for the given property type. To recap, the value of the building will be determined by the net operating income and the cap rate used. ►Loan-to-value ratio (LTV): The second main ratio used by a commercial mortgage underwriter is the loan-to-value ratio. This is much simpler to calculate and is similar to a residential loan. Once the value is determined (usually by the income capitalization method), the lender multiplies by the LTV to determine the maximum loan. As an example, if a lender has a maximum LTV of 75 percent, and the property is worth $2 million, the maximum loan (based on the LTV method) would be $1.5 million. The maximum loan using the LTV method might be higher or lower than the maximum loan available using the DSCR method explained above. The underwriter will calculate both and usually cap the loan amount at the lower of the two ratios. As you can see, there is a fair amount of basic arithmetic employed when analyzing a commercial mortgage loan request. A borrower should familiarize himself with these calculations prior to submitting a loan application to a lender, or submitting a purchase offer to a seller or broker. call us today for your free 30 minutes evalaution. The fastest and most reliable trade lines to boost your credit score are right here. Adding positive Tradelines to your credit report increases your credit score fast, if done correctly. Let is help you boost your score with a pioneer of tradeline piggybacking services. For over 10 years, we have helped tens of thousands of people boost their credit scores. Results in 21 days. Guaranteed! and no early repayment fees, just one single fixed fee. Business location All 50 states. Forget running to the ATM or mailing a check. 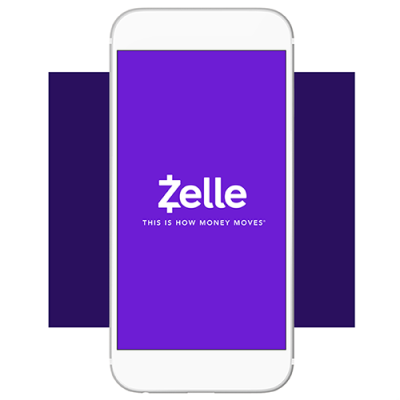 With Zelle, there’s a new way to move money. Backed by the nation’s leading banks and credit unions, you can send and receive money with peace of mind and without the hassle. 2. Americap Direct Corp. requires that a Financing Request Package accompany all loan requests. This template focuses primarily on residential rehab, construction, and development loans and provides a consistent process for borrowers to streamline the financing process and accelerate the funding timeline to meet the closing deadlines. Timely submission of a completed Financing Request Package can mean funding in as little as 5–7 business days. The loan-to-value (LTV) may not exceed 80-85%. 4. Americap Direct Corp. seeks to establish long-term relationships with experienced real estate investors, owner operators, developers, and brokers that are built upon trust, client service, and executional efficiency. 7.  is a brief narrative of the financing request, which summarizes the transaction, including the property and loan specifics  should be clear and concise, and gives the borrower the ability to sell the deal to the lender. 8. The Executive Summary should include the following information for the lender’s review: 1. Brief description/background on the deal  How did you source the opportunity?  What is the purchase price and timing of the transaction?  Why are you utilizing private money? 12.  should provide a complete physical description of the land, improvements, and the property, as well as any additional visual aids, such as photos, site plans, etc.  For development and construction financing, the borrower should include a detailed scope of work, broken out line by line, regarding the proposed improvements to the property and associates costs with those improvements. 17.  should educate the lender on the property’s particular location/neighborhood, as well as the general market information and economic drivers for the particular area/city  should include comparables (active and sold) that justify and strengthen the exit strategy proposed. 19.  Borrower should also provide a one-page summary of the comparables, preferably in excel, justifying the market value. The specifics of the comps will vary based upon the type of property, but the analysis should provide the lender with simple layout justifying the exit strategy and valuation. 20.  The lender will want to be able to easily compare the following information from this summary:  Purchase Price Analysis  PSF, Per Unit, Per Acre, Cap Rate, etc.  Verify true comparable to the subject property  Size, type, # bedrooms, # baths, land size, # units  Market Timing  How long on the market? Sale Price to List Price? 21.  The lender is looking to review the assumptions made by the borrower when conducting their analysis, as well as any additional financial documentation that can be provided to prove out the analysis. 23.  This section should is a brief description of the company and the associated borrower(s), manager(s), or principal(s). The borrowing entity that is purchasing the property should also be included in the section. The lender is looking for company history and track record, as well the backgrounds of the individuals in the transaction.  Resume of owners, principals, etc. 24.  The borrower should provide all relevant additional documentation related to the particular transaction. The lender will typically request this additional information after initial review, but always good to already have the information ready for the lender to review in order to expedite the underwriting process.